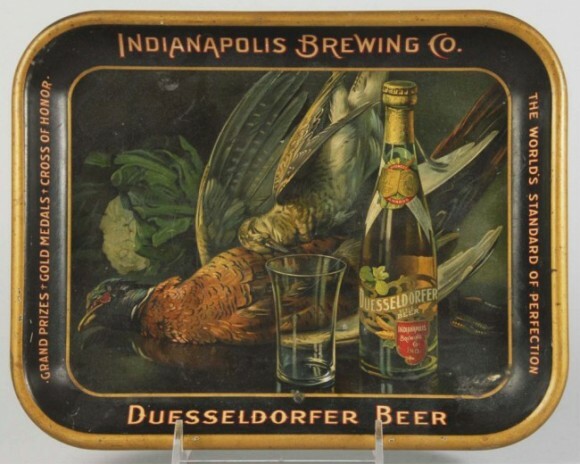 Serving Tray for Duesseldorfer Beer from The Indianapolis Brewing Company showing in the center a game bird behind a bottle of the company’s brew and an empty glass. Around the border this tray states its’ awards. Grand Prizes, Gold Medals, Cross of Honor. The World’s Standard of Perfection.